Workers in the Graphite Reactor use a rod to push fresh uranium slugs into the reactor's concrete loading face. The world's second artificial nuclear reactor. The X-10 Graphite Reactor at Oak Ridge National Laboratory in Oak Ridge, Tennessee, formerly known as the Clinton Pile and X-10 Pile, was the world's second artificial nuclear reactor (after Enrico Fermi's Chicago Pile-1) and was the first reactor designed and built for continuous operation. It was built during World War II as part of the Manhattan Project. While Chicago Pile-1 demonstrated the feasibility of nuclear reactors, the Manhattan Project's goal of producing enough plutonium for atomic bombs required reactors a thousand times as powerful, along with facilities to chemically separate the plutonium bred in the reactors from uranium and fission products. An intermediate step was considered prudent. The next step for the plutonium project, codenamed X-10, was the construction of a semiworks where techniques and procedures could be developed and training conducted. The centerpiece of this was the X-10 Graphite Reactor. It was air-cooled, used nuclear graphite as a neutron moderator, and pure natural uranium in metal form for fuel. 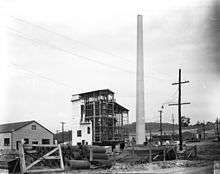 DuPont commenced construction of the plutonium semiworks at the Clinton Engineer Works in Oak Ridge on February 2, 1943. The reactor went critical on November 4, 1943, and produced its first plutonium in early 1944. It supplied the Los Alamos Laboratory with its first significant amounts of plutonium, and its first reactor-bred product. Studies of these samples heavily influenced bomb design. The reactor and chemical separation plant provided invaluable experience for engineers, technicians, reactor operators, and safety officials who then moved on to the Hanford site. 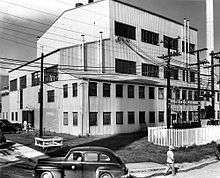 It operated as a plutonium production plant until January 1945, when it was turned over to research activities, and the production of radioactive isotopes for scientific, medical, industrial and agricultural uses. It was shut down in 1963, and was designated a National Historic Landmark in 1966. The discovery of nuclear fission by German chemists Otto Hahn and Fritz Strassmann in 1938, followed by its theoretical explanation (and naming) by Lise Meitner and Otto Frisch, opened up the possibility of a controlled nuclear chain reaction with uranium. At Columbia University, Enrico Fermi and Leo Szilard began exploring how this might be done. Szilard drafted a confidential letter to the President of the United States, Franklin D. Roosevelt, explaining the possibility of atomic bombs, and warning of the danger of a German nuclear weapon project. He convinced his old friend and collaborator Albert Einstein to co-sign it, lending his fame to the proposal. This resulted in support by the U.S. government for research into nuclear fission, which became the Manhattan Project. In April 1941, the National Defense Research Committee (NDRC) asked Arthur Compton, a Nobel-Prize-winning physics professor at the University of Chicago, to report on the uranium program. His report, submitted in May 1941, foresaw the prospects of developing radiological weapons, nuclear propulsion for ships, and nuclear weapons using uranium-235 or the recently discovered plutonium. In October he wrote another report on the practicality of an atomic bomb. Niels Bohr and John Wheeler had theorized that heavy isotopes with odd atomic numbers were fissile. If so, then plutonium-239 was likely to be. Emilio Segrè and Glenn Seaborg at the University of California produced 28 μg of plutonium in the 60-inch cyclotron there in May 1941, and found that it had 1.7 times the thermal neutron capture cross section of uranium-235. At the time only such minute quantities of plutonium-239 had been produced, in cyclotrons, and it was not possible to produce a sufficiently large quantity that way. Compton discussed with Eugene Wigner from Princeton University how plutonium might be produced in a nuclear reactor, and with Robert Serber how the plutonium produced in a reactor might be separated from uranium. The final draft of Compton's November 1941 report made no mention of using plutonium, but after discussing the latest research with Ernest Lawrence, Compton became convinced that a plutonium bomb was also feasible. In December, Compton was placed in charge of the plutonium project, which was codenamed X-10. 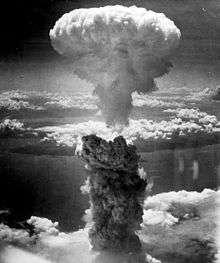 Its objectives were to produce reactors to convert uranium to plutonium, to find ways to chemically separate the plutonium from the uranium, and to design and build an atomic bomb. It fell to Compton to decide which of the different types of reactor designs the scientists should pursue, even though a successful reactor had not yet been built. He felt that having teams at Columbia, Princeton, the University of Chicago and the University of California was creating too much duplication and not enough collaboration, and he concentrated the work at the Metallurgical Laboratory at the University of Chicago. By June 1942, the Manhattan Project had reached the stage where the construction of production facilities could be contemplated. On June 25, 1942, the Office of Scientific Research and Development (OSRD) S-1 Executive Committee deliberated on where they should be located. Moving directly to a megawatt production plant looked like a big step, given that many industrial processes do not easily scale from the laboratory to production size. An intermediate step of building a pilot plant was considered prudent. For the pilot plutonium separation plant, a site was wanted close to the Metallurgical Laboratory, where the research was being carried out, but for reasons of safety and security, it was not desirable to locate the facilities in a densely populated area like Chicago. Compton selected a site in the Argonne Forest, part of the Forest Preserve District of Cook County, about 20 miles (32 km) southwest of Chicago. 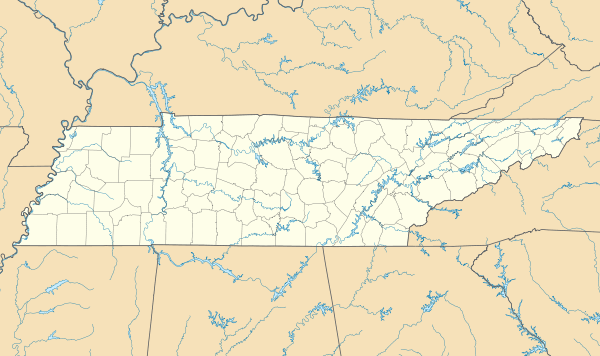 The full-scale production facilities would be co-located with other Manhattan Project facilities at a still more remote location in Tennessee. Some 1,000 acres (400 ha) of land was leased from Cook County for the pilot facilities, while an 83,000-acre (34,000 ha) site for the production facilities was selected at Oak Ridge, Tennessee. By the S-1 Executive Committee meeting on September 13 and 14, it had become apparent that the pilot facilities would be too extensive for the Argonne site. Instead, a research reactor would be built at Argonne, while the plutonium pilot facilities (a semiworks) would be built in Tennessee. In December, it was decided that the plutonium production facilities would not be built at Oak Ridge after all, but at the even more remote Hanford Site in Washington state. Compton and the staff at the Metallurgical Laboratory then reopened the question of building the plutonium semiworks at Argonne. But the engineers and management of DuPont, particularly Roger Williams, the head of its TNX Division, which was responsible for the company's role in the Manhattan Project, disagreed. They felt that there would be insufficient space at Argonne, and that there were disadvantages in having a site that was so accessible, especially to the research staff from the Metallurgical Laboratory, whom they feared would attempt to interfere unduly. A better location, they felt, would be with the production facilities at Hanford. In the end a compromise was reached. On January 12, 1943, Compton, Brigadier General Leslie R. Groves, Jr., the director of the Manhattan Project, and Williams agreed that the semiworks would be built at Oak Ridge. Both Compton and Groves proposed that DuPont operate the semiworks. Williams counter-proposed that the semiworks be operated by the Metallurgical Laboratory. He reasoned that it would primarily be a research and educational facility, and that expertise was at the Metallurgical Laboratory. Compton was shocked. The Metallurgical Laboratory was part of the University of Chicago, so the university would be operating an industrial facility 500 miles (800 km) from its main campus. James B. Conant told him that Harvard University "wouldn't touch it with a ten-foot pole", but the University of Chicago's Vice President, E. T. Filbey took a different view, and told Compton to accept. When University President Robert Hutchins returned, he greeted Compton with "I see Arthur, that while I was gone you doubled the size of my university". A critical design decision was the cooling system. A limiting factor was that the fuel slugs would be clad in aluminum, so the operating temperature of the reactor could not exceed about 200 °C (392 °F). The theoretical physicists in Wigner's group at the Metallurgical Laboratory developed several designs. They found that in heavy water the number of neutrons produced for every one absorbed (known as k) was 10 percent more efficient than the purest graphite. In November 1942, the DuPont engineers chose helium as the coolant for the production plant, largely on the basis that it did not absorb neutrons.By contrast, the decision that the reactor would use graphite as a neutron moderator caused little debate, as heavy water was unavailable, although there was concern that there was a sufficient supply of uranium and pure graphite. Not everyone agreed with the decision to use helium. Szilard in particular was an early proponent of using liquid bismuth. But the major opponent was Wigner, who argued strongly in favor of a water-cooled reactor design. He realised that since water absorbed neutrons, k would be reduced by about 3 percent, but had sufficient confidence in his calculations that the water-cooled reactor would. From an engineering perspective, a water-cooled was straightforward to design and build, while helium posed technological problems. Wigner's team produced a preliminary report on water cooling, designated CE-140 in April 1942, followed by a more detailed one, CE-197, titled "On a Plant with Water Cooling", in July 1942. Fermi's Chicago Pile-1 reactor, constructed under the west viewing stands of the original Stagg Field at the University of Chicago, went critical on December 2, 1942. This reactor only generated up to 200 W, but it demonstrated that k was higher than anticipated. This not only removed most of the objections to air-cooled and water-cooled reactor designs, it also greatly simplified other aspects of the design. Wigner's team submitted blueprints of a water-cooled reactor to DuPont in January 1943. By this time, the concerns of DuPont's engineers about the corrosiveness of water had been overcome by the mounting difficulties of using helium, and all work on helium was terminated in February. At the same time, Air was chosen for the reactor at the pilot plant. Since it would be of a quite different design to the production reactors, the X-10 Graphite Reactor lost its value as a prototype; but it was considered more important to get the pilot facility up and running as soon as possible in order to supply quantities of plutonium needed for research. It was hoped that problems would be found in time to correct them in the production plants. The semiworks would also be used for training, and for developing procedures. 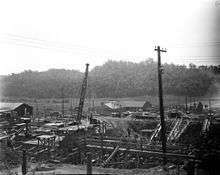 Although the design of the reactor was not yet complete, DuPont began construction of the plutonium semiworks on February 2, 1943, on an isolated 112-acre (0.5 km2) site in the Bethel Valley about 10 miles (16 km) southwest of Oak Ridge officially known as the X-10 area. There was a chemical separation plant, research laboratories, waste storage area, training facility for Hanford staff, and administrative and support facilities that included a laundry, cafeteria, first aid center and fire station. Because of the subsequent decision to construct water-cooled reactors at Hanford, only the chemical separation plant operated as a true pilot. The semiworks eventually became known as the Clinton Laboratories, and was operated by the University of Chicago as part of the Metallurgical Project. Construction work on the reactor had to wait until DuPont had completed the design. Excavation commenced on April 27, 1943. A large pocket of soft clay was soon discovered, necessitating additional foundations. Further delays occurred due to wartime difficulties in procuring building materials. There was an acute shortage of both common and skilled labor; the contractor had only three-quarters of the required workforce, and there was high turnover and absenteeism, mainly the result of poor accommodations and difficulties in commuting. The township of Oak Ridge was still under construction, and barracks were built to house workers. Special arrangements with individual workers increased their morale and reduced turnover. Finally, there was unusually heavy rainfall, with 9.3 inches (240 mm) falling in July 1943, more than twice the average of 4.3 inches (110 mm). Some 700 short tons (640 t) of graphite blocks were purchased from National Carbon. The construction crews began stacking it in September 1943. Cast uranium billets came from Metal Hydrides, Mallinckrodt and other suppliers. These were extruded into cylindrical slugs, and canned by Alcoa, which started production on June 14, 1943. The fuel slugs were canned primarily to protect the uranium metal from corrosion that would occur if it came into contact with water, but also to prevent the venting of gaseous radioactive fission products that might be formed when they were irradiated. The cladding had to transmit heat but not absorb too many neutrons. Aluminum was chosen. General Electric and the Metallurgical Laboratory developed a new welding technique to seal the cans airtight. The new equipment was installed in the production line at Alcoa in October 1943. Construction commenced on the pilot separation plant before a chemical process for separating plutonium from uranium had been selected. Not until May 1943 would DuPont managers decide to use the Bismuth-phosphate process. The plant consisted of six cells, separated from each other and the control room by thick concrete walls. The equipment was operated from the control room by remote control. Work was completed on 26 November 1943, but the plant could not operate until the reactor started producing irradiated uranium slugs. The X-10 Graphite Reactor was the world's second artificial nuclear reactor after Chicago Pile-1, and was the first reactor designed and built for continuous operation. It consisted of a huge block, 24 feet (7.3 m) long on each side, of nuclear graphite cubes, weighing around 1,500 short tons (1,400 t), that acted as a moderator. They were surrounded by seven feet (2.1 m) of high-density concrete as a radiation shield. In all, the reactor was 38 feet (12 m) wide, 47 feet (14 m) deep and 32 feet (9.8 m) high. There were 36 horizontal rows of 35 holes. Behind each was a metal channel into which uranium fuel slugs could be inserted. An elevator provided access to those higher up. Only 800 (~64%) of the channels were ever used. 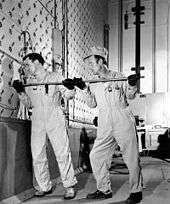 The reactor used cadmium-clad steel control rods. Three 8-foot (2.4 m) rods penetrated the reactor vertically, held in place by a clutch to form the scram system. They were suspended from steel cables that were wound around a drum, and held in place by an electromagnetic clutch. If power was lost, these rods would drop into the reactor, halting it. The other four rods, were made of boron steel and horizontally penetrated the reactor from the north side. Two of them, known as "shim" rods, were hydraulically controlled. Sand-filled hydraulic accumulators could be used in the event of a power failure. The other two rods were driven by electric motors. The cooling system consisted of three 55,000 cubic feet per minute (1,600 m3/min) electric fans. Because they used outside air, the reactor could be run at a higher power level on cold days. After going through the reactor, the air was filtered to remove radioactive particles larger than 0.00004 inches (0.0010 mm) in diameter. This took care of over 99 percent of the radioactive particles. It was then expelled back into the air through a 200-foot (61 m) chimney. The reactor was operated from a control room in the southeast corner on the second floor. In September 1942, Compton asked a physicist, Martin D. Whitaker, to form a skeleton operating staff for X-10. Whitaker became the inaugural director of the Clinton Laboratories, as the semiworks became officially known in April 1943. The first permanent operating staff arrived from the Metallurgical Laboratory in Chicago in April 1943, by which time DuPont began transferring its technicians to the site. They were augmented by one hundred technicians in uniform from the Army's Special Engineer Detachment. By March 1944, there were some 1,500 people working at X-10. Supervised by Compton, Whitaker and Fermi, the reactor went critical on 4 November 1943 with about 30 short tons (27 t) of uranium. A week later the load was increased to 36 short tons (33 t), raising its power generation to 500 kW, and by the end of the month the first 500 mg of plutonium was created. The reactor normally operated around the clock, with 10-hour weekly shutdowns for refueling. During startup, the safety rods and one shim rod were completely removed. The other shim rod was inserted at a predetermined position. When the desired power level was reached, the reactor was controlled by adjusting the partly inserted shim rod. The first batch of canned slugs to be irradiated was received on December 20, 1943, allowing the first plutonium to be produced in early 1944. The slugs used pure metallic natural uranium, in air-tight aluminum cans 4.1 inches (100 mm) long and 1 inch (25 mm) in diameter. Each channel was loaded with between 24 and 54 fuel slugs. The reactor went critical with 30 short tons (27 t) of slugs, but in its later life was operated with as much as 54 short tons (49 t). To load a channel, the radiation-absorbing shield plug was removed, and the slugs inserted manually in the front (east) end with long rods. To unload them, they were pushed all the way through to the far (west) end, where they fell onto a neoprene slab and fell down a chute into a 20-foot (6.1 m) deep pool of water that acted as a radiation shield. Following weeks of underwater storage to allow for decay in radioactivity, the slugs were delivered to the chemical separation building. By February 1944, the reactor was irradiating a ton of uranium every three days. Over the next five months, the efficiency of the separation process was improved, with the percentage of plutonium recovered increasing from 40 to 90 percent. Modifications over time raised the reactor's power to 4,000 kW in July 1944. 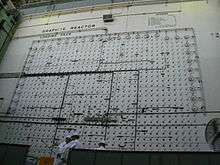 Unfortunately, operations did not detect the effect of the neutron poison xenon-135, which caused problems with the startup of the Hanford B reactor. The X-10 semiworks operated as a plutonium production plant until January 1945, when it was turned over to research activities. By this time, 299 batches of irradiated slugs had been processed. A radioisotope building, a steam plant, and other structures were added in April 1946 to support the laboratory's peacetime educational and research missions. All work was completed by December 1946, adding another $1,009,000 to the cost of construction at X-10, and bringing the total cost to $13,041,000. Operational costs added another $22,250,000. X-10 supplied the Los Alamos Laboratory with the first significant samples of plutonium. Studies of these by Emilio G. Segrè and his P-5 Group at Los Alamos revealed that it contained impurities in the form of the isotope plutonium-240, which has a far higher spontaneous fission rate than plutonium-239. This meant that it would be highly likely that a plutonium gun-type nuclear weapon would predetonate and blow itself apart during the initial formation of a critical mass. The Los Alamos Laboratory was thus forced to turn its development efforts to creating an implosion-type nuclear weapon—a far more difficult feat. The X-10 chemical separation plant also proved the bismuth phosphate process that was used in the full-scale separation facilities at Hanford. Finally, the reactor and chemical separation plant provided invaluable experience for engineers, technicians, reactor operators, and safety officials who then moved on to the Hanford site. After the war ended, the graphite reactor became the first facility in the world to produce radioactive isotopes for peacetime use. On August 2, 1946, Oak Ridge National Laboratory director Eugene Wigner presented a small container of carbon-14 to the director of the Barnard Free Skin and Cancer Hospital, for medical use at the hospital in St. Louis, Missouri. Subsequent shipments of radioisotopes, primarily iodine-131, phosphorus-32, molybdenum-99/technetium-99m and carbon-14, were for scientific, medical, industrial and agricultural uses. 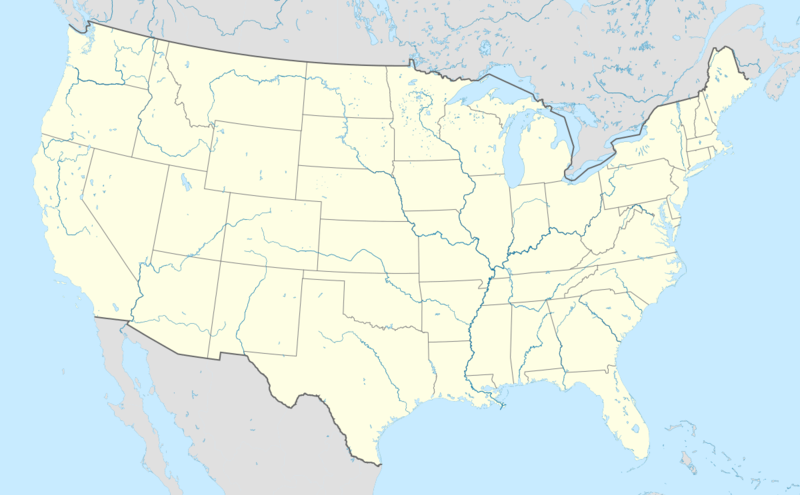 The X-10 Graphite Reactor was shut down on November 4, 1963, after twenty years of use. It was added to the National Register of Historic Places on December 21, 1965, and was designated a National Historic Landmark on October 15, 1966. In 1969 the American Society for Metals listed it as a landmark for its contributions to the advancement of materials science and technology, and in 2008 it was designated as a National Historic Chemical Landmark by the American Chemical Society. The control room and reactor face are accessible to the public during scheduled tours offered through the American Museum of Science and Energy. During 2015 tours were part of a general three-hour tour of the Clinton Engineer Works facilities, and were conducted on Mondays through Fridays at noon, from June 4 to September 30, except on July 4 and 5. The Brookhaven Graphite Research Reactor was the first nuclear reactor to be constructed in the United States following World War II. Led by Lyle Benjamin Borst, the reactor construction began in 1947 and reached criticality for the first time on August 22, 1950. The reactor consisted of a 700-short-ton (640 t), 25-foot (7.6 m) cube of graphite fueled by natural uranium. Its primary mission was applied nuclear research in medicine, biology, chemistry, physics and nuclear engineering. One of the most significant discoveries at this facility was the development of production of molybdenum-99/technetium-99m, used today in tens of millions of medical diagnostic procedures annually, making it the most commonly used medical radioisotope. The graphite reactor was shut down in 1969 and fully decommissioned in 2012. When Britain began planning to build nuclear reactors to produce plutonium for weapons in 1946, it was decided to build a pair of air-cooled graphite reactors similar to the X-10 Graphite Reactor at Windscale. Natural uranium was used as enriched was not available, and similarly graphite was chosen as a neutron moderator because beryllia was toxic and hard to manufacture, while heavy water was unavailable. Use of water as a coolant was considered, but there were concerns about the possibility of a catastrophic nuclear meltdown in the densely-populated British Isles if the cooling system failed, an event that did indeed occur in the Chernobyl disaster in 1986. Helium was again the preferred choice as a coolant gas, but the main source of it was the United States, and under the 1946 McMahon Act, the United States would not supply it for nuclear weapons production, so, in the end, air cooling was chosen. Construction began in September 1947, and the two reactors became operational in October 1950 and June 1951. Both were decommissioned after the disastrous Windscale fire in October 1957. They would be last major air-cooled plutonium-producing reactors; the UK's follow-on Magnox and AGR designs used carbon dioxide instead. As of 2016, another reactor of similar design to the X-10 Graphite Reactor is still in operation, the Belgian BR-1 reactor of the SCK•CEN, located in Mol, Belgium. Financed through the Belgian uranium export tax with the help of British experts, the 4 MW research reactor became critical for the first time on May 11, 1956. It is used for scientific purposes, such as neutron activation analysis, neutron physics experiments, calibration of nuclear measurement devices and the production of neutron transmutation doped silicon. ↑ Jones 1985, pp. 8–10. ↑ The Atomic Heritage Foundation. "Einstein's Letter to Franklin D. Roosevelt". Archived from the original on October 27, 2012. Retrieved May 26, 2007. ↑ The Atomic Heritage Foundation. "Pa, this requires action!". Archived from the original on October 29, 2012. Retrieved 26 May 2007. ↑ Jones 1985, pp. 14–15. ↑ Jones 1985, p. 91. ↑ Rhodes 1986, pp. 399–400. 1 2 3 4 Oak Ridge National Laboratory 1963, pp. 3–4. ↑ Jones 1985, pp. 67–72. ↑ Jones 1985, pp. 108–112. ↑ Holl, Hewlett & Harris 1997, pp. 20–21. 1 2 Hewlett & Anderson 1962, pp. 190–193. ↑ Compton 1956, p. 172. ↑ Holl, Hewlett & Harris 1997, p. 8. ↑ Compton 1956, p. 173. ↑ Weinberg 1994, p. 18. ↑ Jones 1985, p. 107. ↑ Weinberg 1994, pp. 22–24. ↑ Jones 1985, pp. 191–193. ↑ Jones 1985, pp. 204–205. ↑ Manhattan District 1947, pp. 2.4–2.6. 1 2 3 Manhattan District 1947, p. S3. ↑ Manhattan District 1947, pp. 2.7–2.8. 1 2 Hewlett & Anderson 1962, pp. 209–210. ↑ Smyth 1945, pp. 146–147. ↑ Manhattan District 1947, p. S2. 1 2 "ORNL Metals and Ceramics Division History, 1946–1996" (PDF). Oak Ridge National Laboratory. ORNL/M-6589. Retrieved January 25, 2015. 1 2 Manhattan District 1947, p. S4. ↑ Manhattan District 1947, p. S5. 1 2 3 Jones 1985, p. 209. ↑ Jones 1985, p. 204. ↑ Jones 1985, p. 208. ↑ Manhattan District 1947, p. S7. 1 2 "X-10 Graphite Reactor". United States Department of Energy. Retrieved December 13, 2015. ↑ Hoddeson et al. 1993, pp. 240–244. ↑ Creager 2013, p. 68. 1 2 "Peacetime use of radioisotopes at Oak Ridge cited as Chemical Landmark". American Chemical Society. February 25, 2008. Retrieved December 12, 2015. ↑ Oak Ridge National Laboratory 1963, p. 1. 1 2 "X-10 Reactor, Oak Ridge National Laboratory". National Historic Landmark Summary Listing. National Park Service. Archived from the original on May 9, 2015. Retrieved October 7, 2008. ↑ National Park Service (April 15, 2008). "National Register Information System". National Register of Historic Places. National Park Service. ↑ "Public Tours". Oak Ridge National Laboratory. Retrieved December 12, 2015. ↑ Mann, Martin (April 1, 1949). "U.S. lights new atomic pile for peace". Popular Science. Bonnier Corporation. ISSN 0161-7370. ↑ Cotsalas, Valerie (February 13, 2000). "Brookhaven Lab's Old Reactor Is Finally Being Dismantled". The New York Times. ISSN 0362-4331. Retrieved February 13, 2016. ↑ "Brookhaven Graphite Research Reactor History". Brookhaven National Laboratory. Archived from the original on March 14, 2013. Retrieved February 13, 2016. ↑ "Brookhaven Lab Completes Decommissioning of Graphite Research Reactor: Reactor core and associated structures successfully removed; waste shipped offsite for disposal". Energy.gov. Retrieved February 13, 2016. ↑ Gowing & Arnold 1974, pp. 277–278. ↑ Arnold 1992, pp. 9–11. ↑ Weinberg 1994, p. 25. ↑ Gowing & Arnold 1974, pp. 285–286. ↑ Gowing & Arnold 1974, p. 404. ↑ Arnold 1992, p. 15. ↑ Arnold 1992, pp. 122–123. ↑ Hill 2013, pp. 18–20. ↑ "Belgian Reactor 1 – SCK•CEN". science.sckcen.be. Retrieved February 12, 2016. ↑ Buch & Vandenlinden 1995, p. 120. ↑ Helmreich, Jonathan E. (1990). "The Negotiation of the Belgian Uranium Export Tax of 1951". Revue belge de philologie et d'histoire. 68 (2): 320–351. doi:10.3406/rbph.1990.3713. ↑ Helmreich, Jonathan E. (1996). "U.S. Foreign Policy and the Belgian Congo in the 1950s". Historian. 58 (2): 315–328. doi:10.1111/j.1540-6563.1996.tb00951.x. ISSN 1540-6563. ↑ "BR1 – Belgian Reactor 1". Belgian Nuclear Research Centre. Archived from the original on July 4, 2013. Retrieved October 8, 2008. ↑ "BR1 – 50th anniversary" (PDF). www.sckcen.be. Archived from the original (PDF) on August 16, 2006. Retrieved December 17, 2015. Arnold, Lorna (1992). Windscale 1957: Anatomy of a Nuclear Accident. Macmillan. ISBN 0-333-65036-0. Buch, Pierre; Vandenlinden, Jacques (1995). L'uranium, la Belgique et les puissances: marché de dupes, ou, chef d'œuvre diplomatique? (in French). De Boeck Supérieur. p. 120. ISBN 978-2-804-11993-5. Creager, Angela N. H. (2013). Life Atomic: A History of Radioisotopes in Science and Medicine. University of Chicago Press. p. 68. ISBN 978-0-226-01794-5. Gowing, Margaret; Arnold, Lorna (1974). Independence and Deterrence: Britain and Atomic Energy 1945–52, Volume II: Policy Execution. London: Macmillan. Hill, C. N. (2013). An Atomic Empire : a Technical History of the Rise and Fall of the British Atomic Energy Programme. London: Imperial College Press. ISBN 978-1-908977-41-0. OCLC 857066061. Holl, Jack M.; Hewlett, Richard G.; Harris, Ruth R. (1997). Argonne National Laboratory, 1946–96. Urbana, Illinois: University of Illinois Press. ISBN 978-0-252-02341-5. Manhattan District (1947). Manhattan District History, Book IV, Volume 2 – Pile Project X-10 – Clinton Laboratories (PDF). Washington, D.C.: Manhattan District. Oak Ridge National Laboratory (1963). ONRL Graphite Reactor (PDF). Retrieved December 13, 2015. Snell, Arthur H.; Weinberg, Alvin M. (1964). "History and accomplishments of the Oak Ridge Graphite Reactor". Physics Today. 17 (8): 32. doi:10.1063/1.3051739. ISSN 0031-9228. Wikimedia Commons has media related to X-10 Graphite Reactor. "ORNL webpage about the Graphite Reactor". Oak Ridge National Laboratory. Archived from the original on January 12, 2010. This article incorporates public domain material from the United States Department of Energy document "X-10 Graphite Reactor" (retrieved on December 13, 2015).